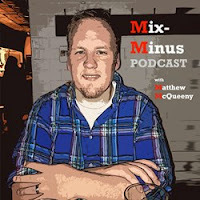 Mix-Minus Podcast | Matthew McQueeny: #102: French Press Starts a Revolution? #102: French Press Starts a Revolution? Matt goes solo to talk about a night in New York City to see John Oliver standup, the ridiculousness of driving into the city, french press coffee, liquid's role in starting fights, Microsoft 10, Box.net, movie piracy, Bill Burr, StartUp, Chipotle going vegan, and more.